1. 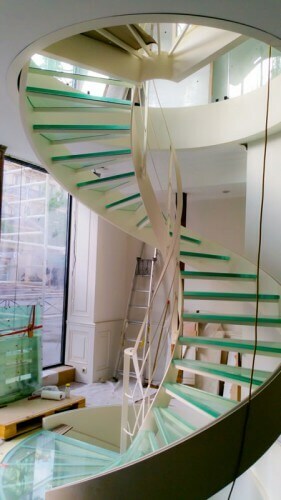 Seamless: Glass staircases give a more easy-on-eyes feel and do not make the interior look gaudy. Instead, it gives homes a more spacious appeal. 2. Illuminating: Glass staircases have the ability to let the light pass through them, unlike the conventional staircases. This makes the home look aesthetically appealing during daylight. 3. Hassle-free: Overtime wooden staircases can develop the problem of termites, which thankfully glass staircases do not have to come across. The quality of glass does not deteriorate over time with use, as does the quality of wood and neither are the glass staircases as expensive to maintain as wooden staircases. 4. Moisture-friendly: One of the best advantages of glass staircases is that they are not affected by moisture in the air, hence they do not get damp and neither do they rot as wooden staircases do. This means the after the initial investment, the maintenance cost is low compared to the wooden staircases. Once installed, glass staircases prove to be sturdy with a long lifespan. 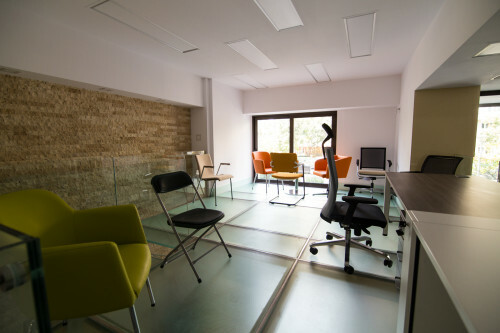 Despite the many advantages, glass products have certain disadvantages associated with them. They need to be mentioned to the owner, in order to warn the customers of the safety hazard. 1. Breakable: While choosing the glass for staircases, it is important to select fabricated ones as they do not break. Normal or poor quality glass can cause accidents by shattering and notwithstanding the weight of heavy objects on them. 2. Hazardous: Glass staircases need to be used with precaution as they might cause accidents through spills, lifting heavy objects and even through sudden blows. 3. Routine checks for glass breakage: Unlike the conventional wooden staircases, these glass staircases would not last long unless they are properly and timely maintained and regularly checked for any hidden cracks or scratches on the glass. 4. Cost Hefty: Because the glass staircases are not easy to install and require constant maintenance, their cost would be hefty on pockets, compared to the wooden and concrete stairs which are generally low in cost. It does not matter what cons glass staircases may have because they will always be a desirable choice to elevate the interior of the houses. In case you’re planning to replace your wooden or concrete staircase with the glass one, rest assured that Transparent Design has in store for you the most affordable, durable and long-lasting glass staircases, that can add elegance to your living space.